UMA’s current project focuses on Tibetan expositions of Three Great Indian Books, together with a related theme of the Mind of Clear Light. The Three Great Indian Books are taught in a variety of ways, but primarily with textbooks, exploring detailed issues through exposition and debate. Each Monastic College has its preferred textbook author; UMA translations focus on Jam-yang-shay-pa (1648-1721) together with commentaries by the Mongolian author Ngag-wang-pal-dan (b. 1767) and others. 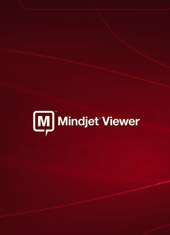 To date UMA has produced thirty-eight publications (free for downloading) of annotated translations of textbook literature, including on the Mind of Clear Light by the Nying-ma scholar Mi-pam-gya-tsho (1846-1912), as well as study aids. 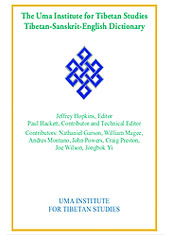 UMA's publications offer the most wide-ranging, thoroughly researched, and deeply explorative body of work ever to appear in English about these indispensible repositories of Buddhist philosophical thought. And we are determined to publish many more volumes. 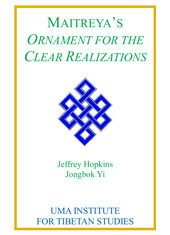 This book contains two renditions of Maitreya’s Ornament for the Clear Realizations (abhisamayālaṃkāra; mngon rtogs rgyan). The first has the names and numbers of the seventy topics that form the structure of the poem inserted, and the second has the same topics with the addition of Ngag-wang-pal-dan’s elaborate outline of the text. This volume contains Maitreya’s entire text with Ngag-wang-pal-dan’s commentary as well as his elaborate outline of the stanzas, valuably revealing the organization of Maitreya’s work, and uncovering its structure like an organizational tree so that a reader can easily see the relation of the parts. This is an English translation of the textbook studied in the Gomang College of Drepung Monastery during the first year of the six-year course of study of the topic of the Perfection of Wisdom, based upon Maitreya’s Ornament for the Clear Realizations. It introduces students to the core vocabulary and systematic layout of the path structure that is the subject of Maitreya’s text. 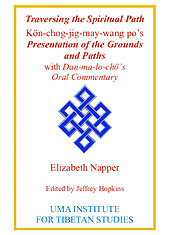 This translation of Kön-chog-jig-may-wang-po’s Presentation of the Grounds and Paths is enhanced by supplementary commentary, providing extensive contextual explanation, given by the late Dan-ma-lo-chö Rinpoche while teaching at the University of Virginia in 1978. Also added for further understanding are explanations and clarifications of difficult points by Lo-sang-gyal-tshan Rinpoche, Abbot of Gomang College. 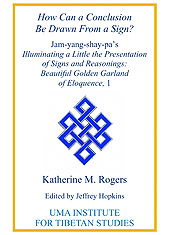 This book provides a map detailing the progression to enlightenment. It presents omniscience, knowledge of the paths, and knowledge of the foundation to be developed through practice; it describes the four trainings that are the means of developing those extraordinary wisdoms; and finally it details the attributes of Buddhahood that are the fruit of training. It contains translations of Jam-yang-shay-pa's Eloquent Presentation of the Eight Categories and Seventy Topics along with Ngag-wang-pal-dan’s sub-commentary. Chinese Translation of The Hidden Teaching of the Perfection of Wisdom Sutras: Jam-yang-shay-pa's Seventy Topics, Chapter One. 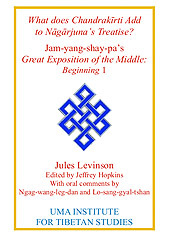 It contains an introductory summary in English, and a Chinese translation of the first chapter of Jam-yang-shay-pa's Eloquent Presentation of the Eight Categories and Seventy Topics with Ngag-wang-pal-dan’s sub-commentary covering the topic of omniscience. Chinese Translation of The Hidden Teaching of the Perfection of Wisdom Sutras: Jam-yang-shay-pa's Seventy Topics, Chapter Two, with an introductory preface in English summarizing the subject. It contains Chinese translations of the second chapter of Jam-yang-shay-pa's Eloquent Presentation of the Eight Categories and Seventy Topics. 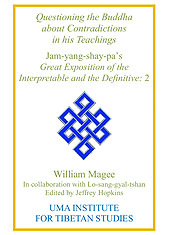 Chinese Translation of The Hidden Teaching of the Perfection of Wisdom Sutras: Jam-yang-shay-pa's Seventy Topics, Chapter Three, with an introductory preface in English summarizing the subject. It contains Chinese translations of the third chapter of Jam-yang-shay-pa's Eloquent Presentation of the Eight Categories and Seventy Topics. 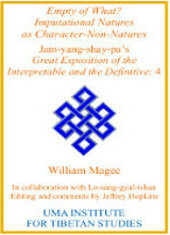 Chinese Translation of The Hidden Teaching of the Perfection of Wisdom Sutras: Jam-yang-shay-pa's Seventy Topics, Chapter Four, with an introductory preface in English summarizing the subject. Chinese Translation of The Hidden Teaching of the Perfection of Wisdom Sutras: Jam-yang-shay-pa's Seventy Topics, Chapter Five, with an introductory preface in English summarizing the subject. It contains Chinese translations of the fifth chapter of Jam-yang-shay-pa's Eloquent Presentation of the Eight Categories and Seventy Topics. Chinese Translation of The Hidden Teaching of the Perfection of Wisdom Sutras: Jam-yang-shay-pa's Seventy Topics, Chapter Six, with an introductory preface in English summarizing the subject. It contains Chinese translations of the sixth chapter of Jam-yang-shay-pa's Eloquent Presentation of the Eight Categories and Seventy Topics. 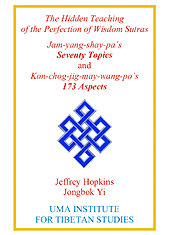 Chinese Translation of The Hidden Teaching of the Perfection of Wisdom Sutras: Jam-yang-shay-pa's Seventy Topics, Chapter Seven, with an introductory preface in English summarizing the subject. 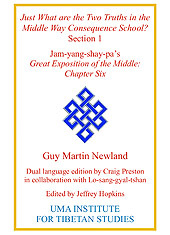 It contains Chinese translations of the Seventh chapter of Jam-yang-shay-pa's Eloquent Presentation of the Eight Categories and Seventy Topics. 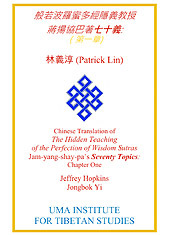 Chinese Translation of The Hidden Teaching of the Perfection of Wisdom Sutras: Jam-yang-shay-pa's Seventy Topics, Chapter Eight, with an introductory preface in English summarizing the subject. It contains Chinese translations of the Eighth chapter of Jam-yang-shay-pa's Eloquent Presentation of the Eight Categories and Seventy Topics. This book provides a Tibetan-Sanskrit-English glossary of all the vocabulary to be found in Jam-yang-shay-pa’s Eloquent Presentation of the Eight Categories and Seventy Topics: Sacred Word of Guru Ajita in both Tibetan script and romanization (Wylie), with a list of the eight categories and seventy topics. 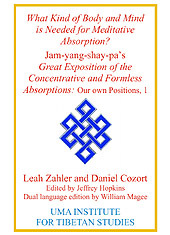 The volume presents an English translation of Jam-yang-shay-pa's 1688 treatise, the Presentation of the Concentrative and Formless Absorptions. It explains the bases of meditative cultivation, both mental and physical. This book provides an English translation of the introductory section of Jam-yang-shay-pa’s Decisive Analysis of Maitreya's "Ornament for the Clear Realizations," a debate-oriented textbook designed to clarify the difficult points of Maitreya's text. The topics addressed in this first volume are sources, the homage, the text's purpose, and Openers of the Chariot-ways. 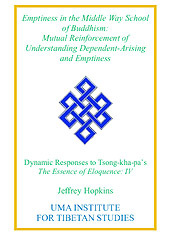 This is the fourth book in Jeffrey Hopkins’s series on Tsong-kha-pa’s Treatise Differentiating Interpretable and Definitive Meanings: The Essence of Eloquence. It covers the two topics: the Teachings of Akṣhayamati Sūtra on differentiating between what requires interpretation and what is definitive, and how Nāgārjuna expounds on this. This book contains translation of the Four Reliances section in Jam-yang-shay-pa Ngag-wang-tson-dru’s (1648-1722) Decisive Analysis of (Tsong-kha-pa’s) “Differentiating the Interpretable and the Definitive”, Ngag-wang-pal-dan’s Annotations of fourteen annotations on the Four Reliances section in Jam-yang-shay-pa’s Great Exposition of Tenets, and other texts. The text translated here is from the second section of Jam-yang-shay-pa’s Great Exposition of the Interpretable and the Definitive. In this text, Jam-yang-shay-pa explores Tsong-kha-pa’s analysis of the Bodhisattva Paramārthasamudgata’s question to Buddha regarding an apparent contradiction in Buddha’s sutras. The text translated here is from the second section of Jam-yang-shay-pa’s Great Exposition of the Interpretable and the Definitive. In this text, Jam-yang-shay-pa focuses on the Buddha’s reply to Paramārthasamudgata, avoiding contradiction by revealing the purpose and thought behind his statements. The text translated here is the fourth in the series of the translation of Jam-yang-shay-pa’s Great Exposition of the Interpretable and the Definitive. In this text, Jam-yang-shay-pa explores the nuances of Tsong-kha-pa's explanation of the imputational nature and emptiness in the Mind-Only School. Two Puzzles: What Do "Own-Character" and "Imputational Natures" Mean? This thoroughly researched and thoughtful essay by Jeffrey Hopkins is the fifth in the series of the translation of Jam-yang-shay-pa’s Great Exposition of the Interpretable and the Definitive. In this text, Hopkins explores two puzzling issues in the forefront of topics in the Mind-Only School. The text translated here is from Jam-yang-shay-pa's Great Exposition of the Middle, exploring (1) what is the 'middle' that Chandrakīrti’s treatise supplements, and (2) how does it supplement that middle? Also included is a translation of Ngag-wang-pal-dan’s commentary on the corresponding portions of Chandrakīrti’s Supplement to (Nāgārjuna’s) “Fundamental Treatise on the Middle Called ‘Wisdom’” as well as the same sections of Tsong-kha-pa’s Illumination of the Thought. The text translated here is from Jam-yang-shay-pa's Great Exposition of the Middle. The text offers a detailed exploration of two questions: (1) how do Buddhas give birth to Hearers and Solitary Victors, and (2) how are Buddhas born from Bodhisattvas? Also included are translations of Ngag-wang-pal-dan’s commentary on the corresponding portions of Chandrakīrti’s Supplement to (Nāgārjuna’s) “Fundamental Treatise on the Middle Called ‘Wisdom’” (madhyamakāvatāra) as well as the same sections of Tsong-kha-pa’s Illumination of the Thought (dgongs pa rab gsal). The sections of Jam-yang-shay-pa's Great Exposition of the Middle translated here treat the first seven stanzas of Chandrakīrti’s discussion of the sixth ground ("the Manifest"). The text translated here is from Jam-yang-shay-pa's Great Exposition of the Middle. 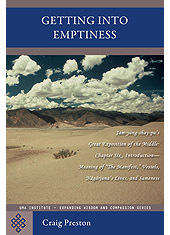 The section translated here is on what is negated in the doctrine of emptiness in general in the Middle Way School and in the Autonomy School. 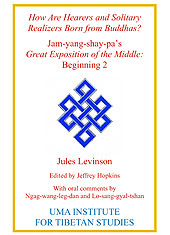 The text translated here is from Jam-yang-shay-pa's Great Exposition of the Middle. The section translated here is on what is negated in the doctrine of emptiness in the Consequence School. The text translated here from Jam-yang-shay-pa's Great Exposition of the Middle, is the initial section on the two truths. In addition, the corresponding section of Tsong-kha-pa’s Illumination of the Thought is given as well. 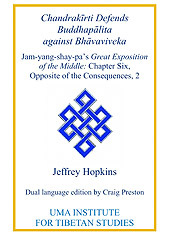 The text translated here from chapter six of Jam-yang-shay-pa's Great Exposition of the Middle explains the dispute between Buddhapālita and Bhāvaviveka over the refutation of production from self. The text translated here from chapter six of Jam-yang-shay-pa's Great Exposition of the Middle provides explanations of Chandrakīrti’s defense against Bhāvaviveka’s criticism of Buddhapālita’s commentary. Chandrakīrti Undermines Bhāvaviveka’s Assertion of Autonomy: Jam-yang-shay-pa’s Great Exposition of the Middle: Chapter Six, Compatibly Appearing Subjects, 3. What is a Consequentialist? Tsong-kha-pa's Great Exposition of Special Insight with the Four Interwoven Annotations: Compatibly Appearing Subjects, 5. By Jeffrey Hopkins. Tsong-kha-pa's Great Exposition of Special Insight is expanded upon through annotations woven into the text by four emminent Ge-lug-pa scholars. Why Did Dharmakīrti Write the Commentary? Jam-yang-shay-pa’s Decisive Analysis of (Dharmakīrti’s) “Commentary on Valid Cognition”: Introduction 1. 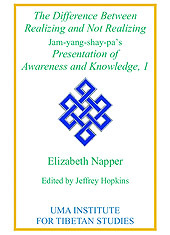 The text translated here is the first two major sections of Jam-yang-shay-pa’s Presentation of Awareness and Knowledge. In these sections Jam-yang-shay-pa considers the basic definition of consciousness and then its divisions. 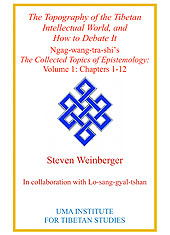 The text translated here, Ngag-wang-tra-shi’s The Collected Topics of Epistemology, Volume 1, Chapters 1-12, presents in an abbreviated way the process of oral debate practiced daily in the Ge-luk education system. Jam-yang-shay-pa’s Root Text of Tenets with portions of Ngag-wang-pal-dan's Word Commentary, covering the general presentation through secret mantra. 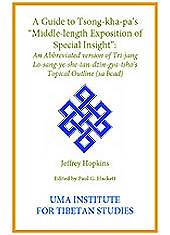 The topical outline to Tsong-kha-pa’s “Middle-length Exposition of Special Insight” with references to the published translation in: Jeffrey Hopkins, Tsong-kha-pa’s Final Exposition of Wisdom (Ithaca: Snow Lion Publ., 2008). The text translated here is the first section of Jam-yang-shay-pa’s Illuminating a Little the Presentation of Signs and Reasonings. Here the student is introduced to several of the basic concepts of correct reasoning. The text presents the first five of the ten sections on the two truths according to the Consequence School in Jam-yang-shay-pa’s Great Exposition of Tenets together with Ngag-wang-pal-dan’s Annotations. The latter, in some sections, offers a sustained critique of Jam-yang-shay-pa’s positions, advocating a more nuanced presentation. 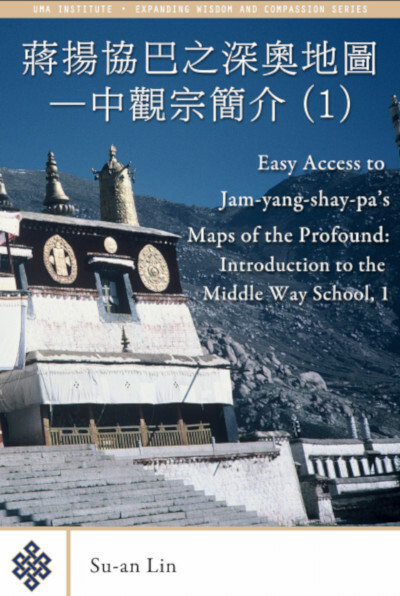 This first translation into traditional Chinese of Jeffrey Hopkins' Maps of the Profound, the Middle Way Chapter, weaves together passages from Jam-yang-shay-pa’s Great Exposition of Tenets and Ngag-wang-pal-dan’s Annotations to provide a detailed explanation of the subject. The next part of this first translation into traditional Chinese of Jeffrey Hopkins' Maps of the Profound, the Autonomy Chapter, weaves together passages from Jam-yang-shay-pa’s Great Exposition of Tenets and Ngag-wang-pal-dan’s Annotations. The next part of this first translation into traditional Chinese of the Jeffrey Hopkins' Maps of the Profound, the Consequence Chapter, presents an elaborate detailing of the Buddha’s focal doctrine of dependent-arising as the basis of an exposition of the Consequence school. An annotated translation of Mi-pam Gya-tsho's Analysis of Fundamental Mind (gnyug sems la dpyad pa) on the system of the Great Completeness (rdzogs chen). The second book in Jeffrey Hopkins's series on Fundamental Mind, following Fundamental Mind: the Nying-ma View of the Great Completeness (Ithaca: Snow Lion Publications, 2006). 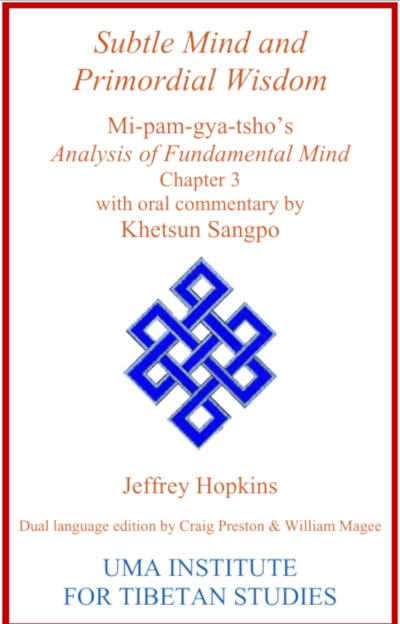 This is an annotated translation of Mi-pam Gya-tsho's Analysis of Fundamental Mind (gnyug sems la dpyad pa), chapters 1-2 on the view of the Great Completeness (rdzogs chen). This is the third book in Jeffrey Hopkins's series on Fundamental Mind, following Fundamental Mind: the Nying-ma View of the Great Completeness (Ithaca: Snow Lion Publications, 2006). This is an annotated translation of Mi-pam Gya-tsho's Analysis of Fundamental Mind (gnyug sems la dpyad pa), chapter 3 on the view of the Great Completeness (rdzogs chen). This is the fourth book in Jeffrey Hopkins's series on Fundamental Mind, following Fundamental Mind: the Nying-ma View of the Great Completeness (Ithaca: Snow Lion Publications, 2006). Jeffrey Hopkins, Paul G. Hackett, et al. This trilingual dictionary consists of over 20,000 entries dealing primarily with Buddhist philosophy. 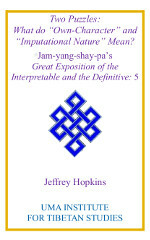 Arising from the experiences of a group of translators who worked with Jeffrey Hopkins over the course of five decades, the Dictionary reflects the results of the process of translation rather than an attempt to compile a comprehensive dictionary that provides complete coverage over all domains of the Tibetan language. 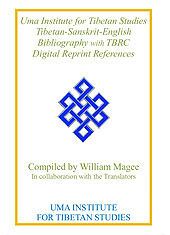 This is a comprehensive bibliography of works cited in the publications of the UMA Institute for Tibetan Studies together with TBRC digital reprint references. March, 2018 version. An interactive resource for a graphical exploration of Jam-yang-shay-pa's Eloquent Presentation of the Eight Categories and Seventy Topics.